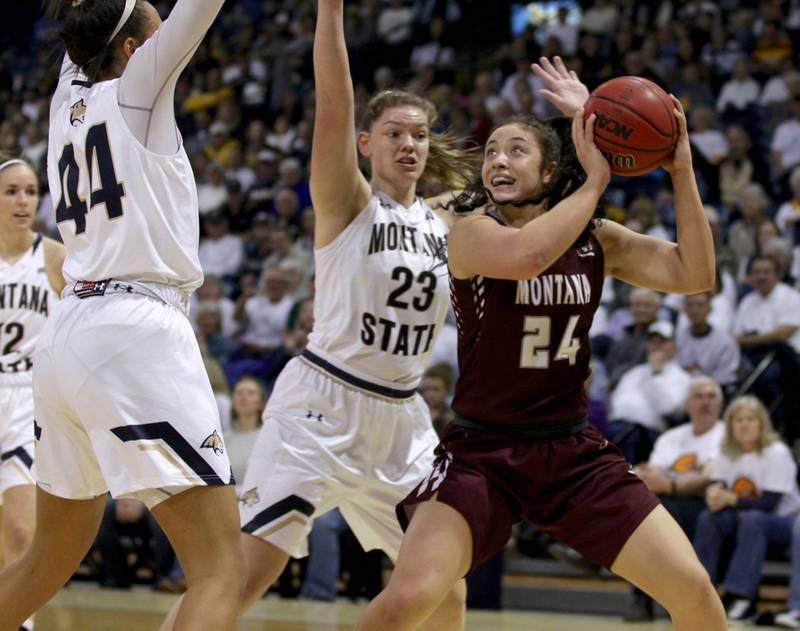 Montana State center Blaire Braxton was succinct about Montana’s struggles guarding the pick and roll Saturday, a deficiency that helped Braxton score 13 points on just seven shots in 21 minutes of the Bobcats’ 74-52 win over the Lady Griz in Bozeman Saturday. Bobcats point guard Oliana Squires gave an even shorter when asked what she saw in the screen and roll game. And Montana’s defensive struggles weren’t even the worst part of the game for the Lady Griz, who shot just 21-of-70 (30 percent) from the field, including just 3-of-19 in a seven-point second quarter. In fact, Saturday’s loss combined all three of the most dire issues that have plagued the Lady Griz this season — struggles defending the pick-and-roll, lack of shooting, and an almost nonexistent bench — into one particularly bitter cocktail. 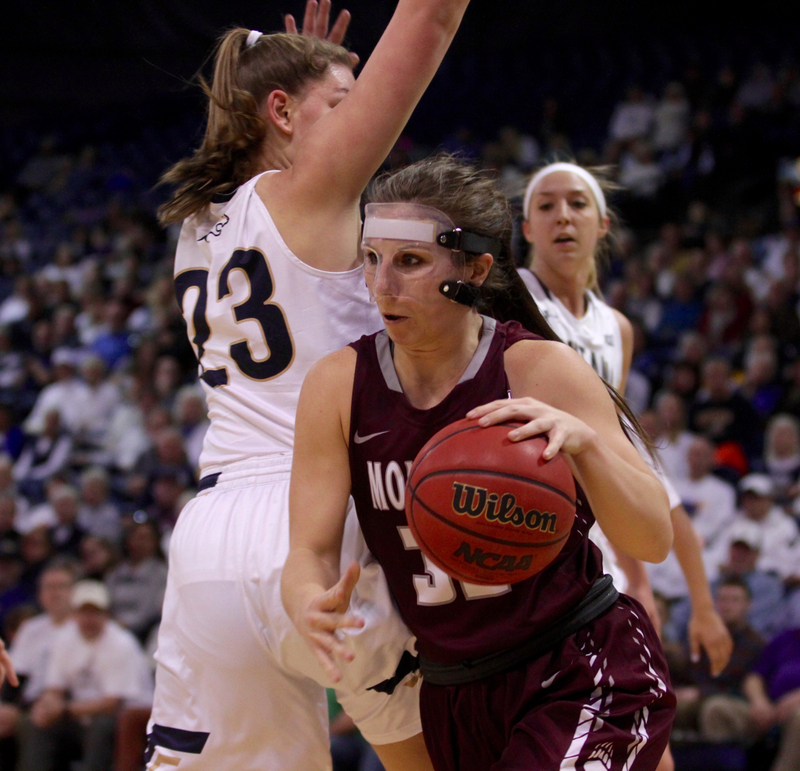 Montana’s defense has been soft against the pick and roll in other games this season, including against Northern Colorado, when reigning league MVP Savannah Smith got to any spot she wanted in the two-man game. But Saturday was arguably worse. Squires, who finished with a career-high eight assists, along with 20 points, had several easy passes to her rolling centers for uncontested buckets. Montana senior post Jace Henderson, who usually covered the opposing post setting the screen and then tried to hedge on Squires, was left several times with her hands in the air as her man slipped to the rim, where there was no help waiting. Montana was also slow to adjust on offense, this time to a 2-3 zone that Montana State coach Tricia Binford pulled out after the Lady Griz scored 20 points in the first quarter. Montana went on to shoot a combined 8-of-38 over the second and third quarters as the Bobcats ran away with the game. Binford’s adjustment negated Montana’s ability to swing the ball side-to-side, and the Lady Griz weren’t able to adapt by, for example, crashing the offensive boards. The zone also picked at one of Montana’s biggest weaknesses, outside shooting. The Lady Griz are shooting just 28.9 percent from 3-point range this season, eighth in the Big Sky, and while going against a 2-3 zone gave them some good looks, they weren’t able to convert. Montana shot just 7-for-25 from long-distance, almost right at their season average with 28 percent. There was one bright spot for Montana. It was easy to forget by the end, but the Lady Griz sprinted out to a 20-13 lead by the end of the first quarter. That was their margin when Schweyen, after playing her five starters for the whole first period, made her first substitution, putting in Katie Mayhue for Gabi Harrington to start the second. Two minutes later, with Montana still holding on to a 20-16 advantage, she made two more, yanking Fatkin and Emma Stockholm for Jordyn Schweyen and Carmen Gfeller. With a weakened Montana lineup on the floor, the Bobcats completed their comeback and then some, going on a 13-3 run over the next five minutes to go up six. 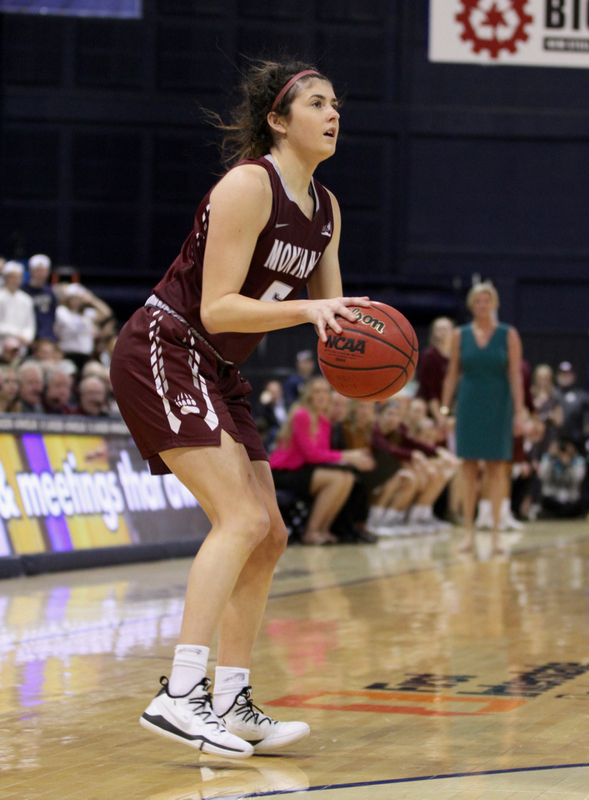 The early Bobcat run exposed the third big Lady Griz weakness this season, which is that the team’s quality takes a big hit anytime Schweyen has to go to her bench. That’s largely a function of injuries, with guards Madi Schoening, Sophia Stiles and Taylor Goligoski all out for the season. If healthy, those three would probably have been the first three bench options for Schweyen, or would have bumped one of the current starters to the bench instead. Without them, though, redshirt freshman Abby Anderson is the most experienced player after the top five. Schweyen, Gfeller, Mayhue and Kylie Frohlich are all true freshmen, and have struggled accordingly. Saturday, the Lady Griz bench combined to score 11 points on 4-of-18 shooting, and that was only thanks to a hot hand from Schweyen, who made her first three 3s before missing her last four. Add it up, and it was the worst loss ever by a Montana women’s team against Montana State. 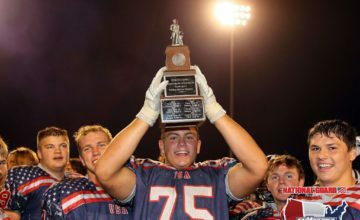 “Obviously we got off to a good start, felt good about the start, and then their adjustment to go into zone definitely hurt us,” Schweyen said. “I thought we got a lot of good looks inside against the zone initially, unfortunately, those didn’t go down, and I felt like we missed a lot of good looks early. … We couldn’t quite put together a run after we lost our momentum.